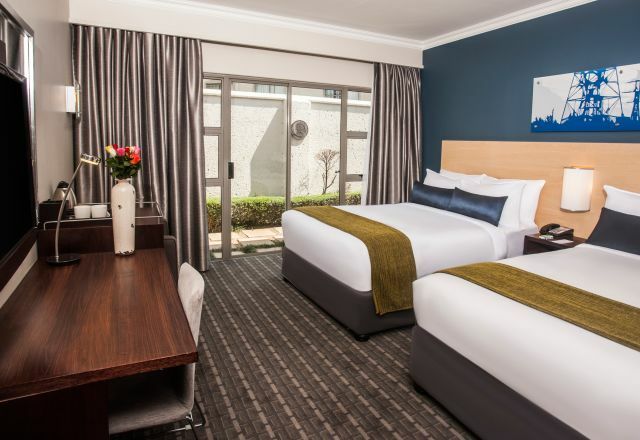 Within our 80 en-suite hotel rooms and suites, guests can experience the warm hospitality and attention to detail that our accommodation in Newcastle, KZN is known for. Each room is styled in a soothing neutral palette with contemporary yet classic furnishings. 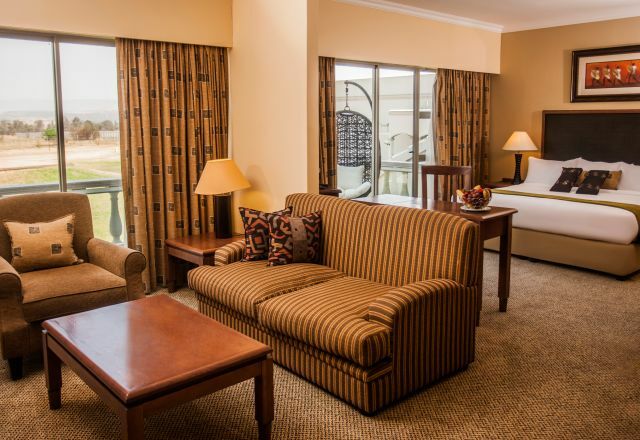 Amenities provided in each room include tea and coffee making facilities, television with DStv, air-conditioning, free WiFi, electronic safe and 18-hour room service. The hotel offers guests a spacious, comfortable stay in the heart of Newcastle with the opportunity to relax, and enjoy the tranquil surroundings, while business guests are able to make use of the hotel’s conferencing facilities for meetings and presentations. Smoking rooms available on request, subject to availability. Our Newcastle hotel’s Standard Rooms have en-suite bathrooms with separate shower. Arguably the most luxury accommodation offering in Newcastle, offering spacious comfort, elegant furnishings and the highest standards of service.